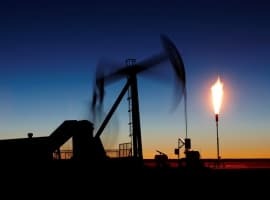 Oil prices are rising and speculators are already staking out bullish positions on futures for the next few months, but some traders are rolling the dice on a much bigger price spike in the next two years. Some contracts that pay off big time if oil prices hit $100 per barrel by December 2018 just saw a spike in interest, according to Bloomberg. The $100 December 2018 call option, Bloomberg says, “was the most traded contract on Tuesday across the whole ICE Brent market.” That contract gives the owner the right to buy Dec. 2018 futures at $100 per barrel. Few oil analysts expect oil prices to rise that high within the next two years. The oil market is still oversupplied, and even with the OPEC deal – which will take 1.8 million barrels per day off the market if fully fulfilled – the world is still flush with oil sitting in storage. It will take time to work through those inventories, providing a cushion to a tightening market. However, the sudden interest in such a remote possibility of a large price spike suggests that investors are growing more confident that the market is on the upswing. Purchasing these options may not be such a huge risk – Bloomberg says they could cost a bit more than $1 million while the payoff would be multiples of that if prices happened to go that high. It is similar to going to Vegas and playing roulette, putting some money on a single number or a few numbers, which have long odds but huge payouts. On the other hand, the spike in interest in the $100 options could also just be a small part of a broader hedging program from some companies, cropping up now since the contracts are two years out. With oil back above $50 per barrel, money managers have become much more bullish on crude. In fact, collectively, hedge funds and other investors have sold off short bets and purchased long positions, building up the most bullish net-long position in more than two years. OPEC has not yet cut back by a single barrel, but its Nov. 30 deal in Vienna has succeeded in sparking a bull run for oil. Aside from some temporary supply disruption due to military conflict or natural catastrophe, the newly engineered oil industry can increase supply substantially, on short notice. profitably, at prices well below $100/Bbl. The other major factor is the strength of the US dollar. The Fed seems to be on a dollar strengthening trajectory, for at least these two years to Dec 2018. Even strong global demand is not likely to very nearly approach the $100/Bbl threshold. They are betting Trump will tear up the Iranian nuclear agreement, and that the hawks in his inner circle will get him to bomb Iran. That would sure do it, but I think it is unlikely. Screw up the flow of oil out of the Persian Gulf, and you will soon be looking at a global depression. He can kiss the second Trump term goodbye, if that happens. The Democrats in Congress will probably say, "Yea, bomb those suckers! Go for it Donald." Followed in 2018 by, "Remember, the Republicans control the entire power structure of government. We told them it would turn out like Iraq, but we couldn't stop them. They just wouldn't listen." That is why it won't hit $100 by 2018. It could hit $ 85 though, but I doubt it will get to $100 before sometime in the second half of 2019. By 2025, $100 will be the good old days of 'cheap oil'. $200 a barrel wouldn't surprise my by then. Electric cars might be 30% of the US market in 2025. The Saudi's plan backfired when shale producers wouldn't just fold at the first sight of $30 crude. Did they really think this was a winning strategy? What they should have done is cut their own production by 3 million barrels a day, getting oil up to the $150 or $160 mark, so that every shale producer and their mother would take on loads more leverage. Then after a year, by abruptly reversing course, you would have an industry that was over-levered and crashing. As is now, they just forced out the bad operators and the banks are still on the sidelines ready to get back in the game. The Saudis needed to not only kill of the frackers but their backers as well. Posted by Arick Wierson of Luanda, Angola. Cheap oil belongs to the past. It's an established fact now and $100 per barrel or a bit lower in 2017-2018 is quite a probable scenario imo. The recent OPEC deal matters a lot. Many observers assert it's a historical agreement. I suppose there are some hidden details not made widely known. And this explains to some extent the confidence of the oil investors in the oil market being on the steady rise from now on. Ye, the world oil storing facilities are oversupplied but freezing winters, especially in Europe, predicted by climate experts, may substantially eat out those supplies. Obama leaves in less than 2 weeks. New EIA head with truthful storage numbers for oil and gas, who knows. Certainly $100 oil is obtainable. Less has not helped any country and that has been the Obama plan to try to save dollar as petrodollar. Failed miserably, but that's what government does rather than a real free market. I don't see any electric cars in my area. As global production is falling because of OPEC-led output cut, and global demand continues its upward spiral, oil prices will certainly continue to go up in 2017-2020. So, the returning to $100/barrel now is becoming a reality.